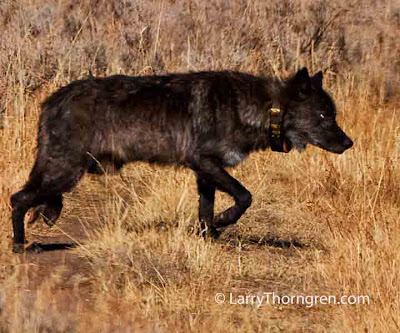 I took this photo of this abused collared wolf two years ago near Swan Lake here in Yellowstone. 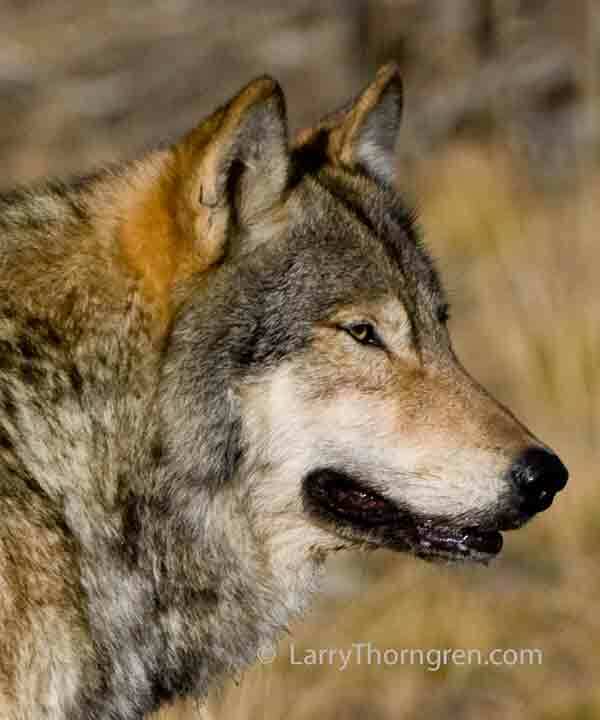 Of the 48 adult wolves in the Northern part of the park, 25 are collared like the wolf in this photo. More than 50% of the adult wolves are handicapped by these devices. During the seventeen years that this intrusive research project has been going on, more than SEVEN HUNDRED AND FIFTY-NINE (759) Yellowstone Wolves have been collared and treated this way. 759 Yellowstone Wolves chased to exhaustion by helicopter, darted with dangerous drugs and humiliated by having one of these gross things placed around their necks. This horrible study needs to stop tomorrow! NO ONE WHO CARES ABOUT WOLVES COULD POSSIBLY TREAT THEM THIS WAY. Money for these monstrous collars are provided by the Yellowstone Park Foundation. They solicit money for the collars and for chasing them to exhaustion with helicopters and harassing them with large groups of so called "researchers". For $5000 they provided funding for putting this over-sized, intrusive GPS collar on this poor wolf. Please write, call or e-mail them to STOP THIS ABUSIVE PROGRAM! This large gray wolf killed a bison cow by himself a few weeks ago. I saw him and two pack mates traveling on a trail in Yellowstone and was able to predict where they would appear later. I took this photo as he turned to look at his two pack mates.